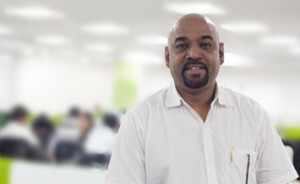 Dr. Anand Gnanaraj is the founding member and Chief Medical Officer at Attune. He has been practicing clinical medicine for over 25 years and has a critical understanding of patient care and the nuances of hospital management. He is currently a practicing Interventional Cardiologist at Apollo Hospitals, Chennai. Dr. Gnanaraj brings in the rare combination of a passionate Information Technology enthusiast with clinical knowledge that gives him an insider’s view and understanding of the challenges that hospital administrators and lab owners face on a daily basis. He has developed several electronic medical records solutions and has been actively involved in software consulting for almost a decade. As the Chief Medical Officer at Attune, Dr. Gnanaraj is responsible for driving the functional strategy of the healthcare IT solutions. He provides the concept and basic structure for the software and is involved in the development strategies. His experiences with patients and medical personnel in various institutions have given him a complete understanding of the way people in hospitals use electronic systems. Dr. Gnanaraj graduated from the prestigious Christian Medical College, Vellore and later completed his MD in Internal Medicine and DM in Cardiology and FNB (Fellowship in Interventional Cardiology). Dr. Gnanaraj is passionate about music and art and likes to play the guitar or paint in his free time.